Girls everywhere can go to sleep happy knowing they just witnessed Johnny Depp performing live with The Black Keys at this years MTV Movie Awards. 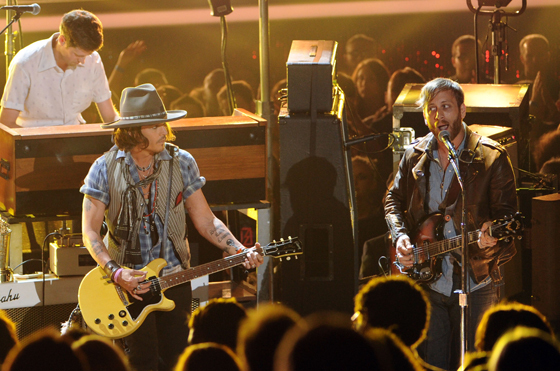 Depp rocked out on guitar along to the band’s hit single “Gold on the Ceiling” and the performance was flawless. Please click through to witness this great showing and let UTG know how you think everyone did! This kind of magic certainly does not happen every day.